It with highest filter efficiency up to 99.9999% for 0.12um particles filtration, with the special design which specialized for hospital operation clean room ceiling can combine with operation special lights. 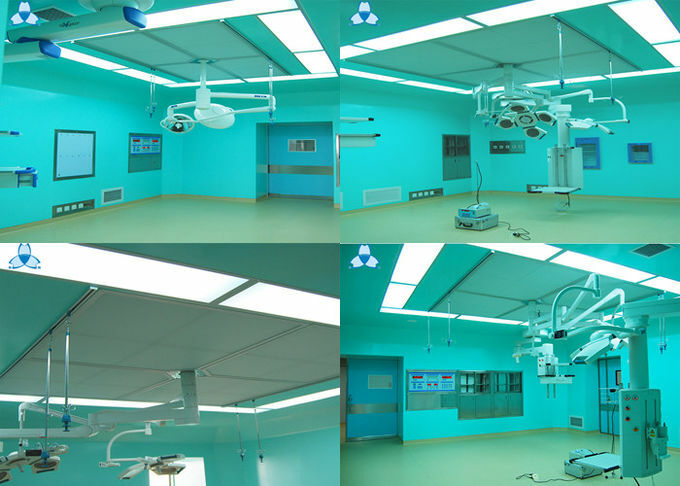 Laminar flow ceiling comply with Biological contamination control system that can prevent the dust, particle, bacterial from the operating room, creating the high purification rank, appropriate temperature and humidity so that we have comfortable clean and safe environment. 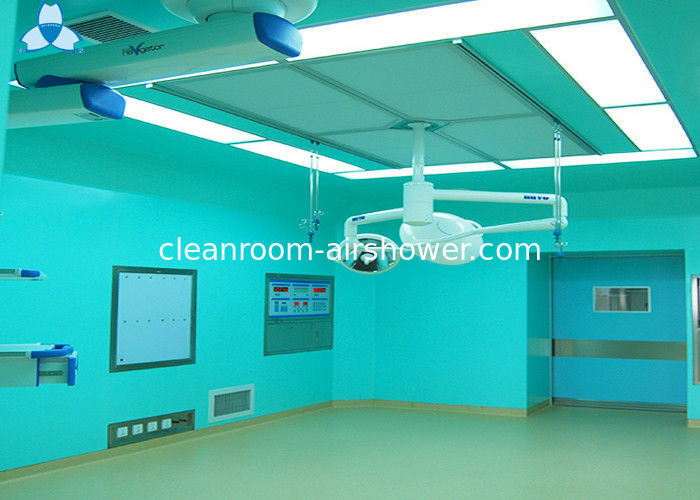 5/6/7/ 8 /9 (ISO14644-1) laminar flow air supply ceiling, or classified to burn ward, blood ward and ophthalmic operating room laminar flow air supply ceiling, etc. Cold rolled steel with power coated and stainless steel materials can be selected by customers. The T type special aluminum configured with spring clip-on installation makes the maintenance and installation convenient and time-saving. The DPP equalizer net makes the air more uniform and gentle. The medium speed airflow compensation device is optional. The high efficiency air filter can be decorated to two kinds of air supply, side air supply and roof air supply. The non-standard dimension of laminar flow air supply ceiling can be made in case of special actual environment.